We decided to give “FREE Shipping” a try and it turns out you like it so we're gonna keep it. All of our sticks ship to you Free of Charge. That's right, you can order as many as you want and in any combination. Everything on the Stick-It.us website ships to you FREE in the United States. There is no special code you need to enter, no limits, no catch. 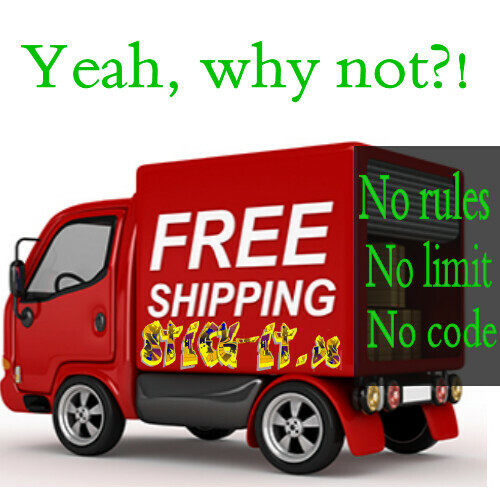 Just Free Shipping, always. Sorry for our international customers, we still need to share some of that shipping cost with you.